Timeless wooden garden gate in a universal design. Manufactured to high standard using quality timber. Buy online in a range of sizes. 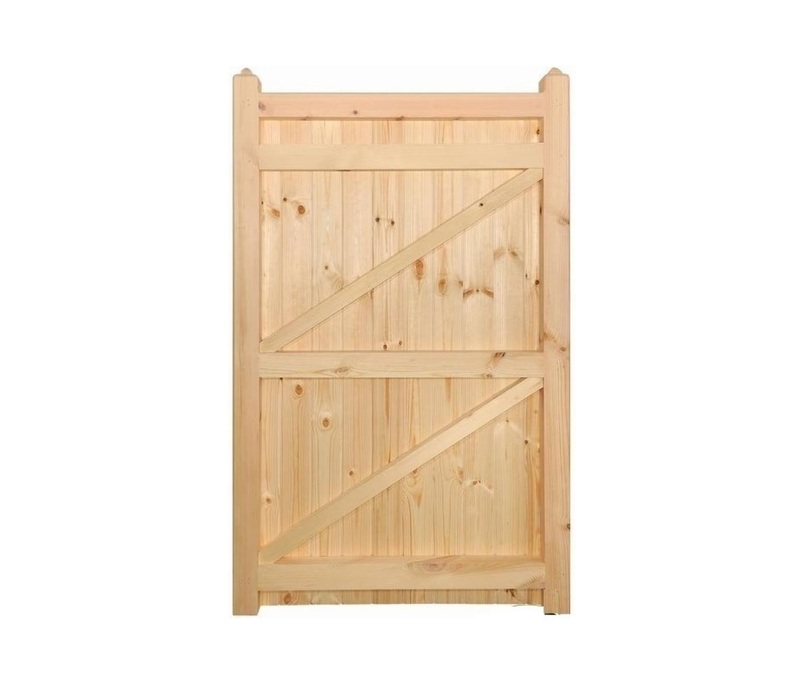 Manufactured in the UK from PEFC certified Scandinavian Redwood the Essex wooden garden gate is designed to offer privacy and security to your home at an exceptional price. Featuring a timeless vertical board design set within a strong timber framework this gate will blend with a variety of residential entrances and access points making it a great all round design that will suit both modern and traditional properties alike. Vertical timber boards create a timeless appeal. Built with a 70mm x 70mm mortise and tenon jointed framework along with 95mm x 14mm tongue and groove infill boards. Hinges and accessories are available to order separately. 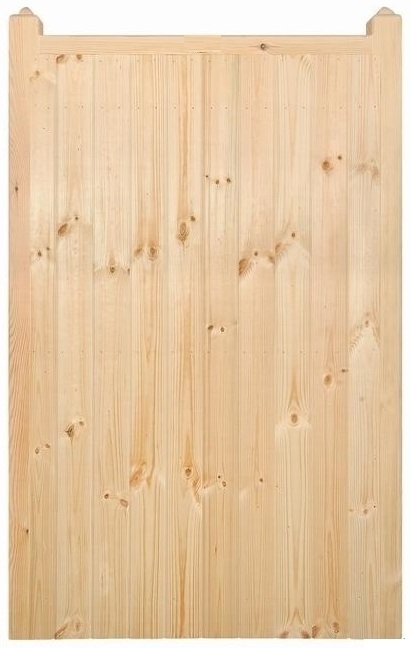 Essex wooden garden gates are supplied in a smooth planed timber finish ready for painting or staining. Choose the item you need via the drop down menu at the top of the page. 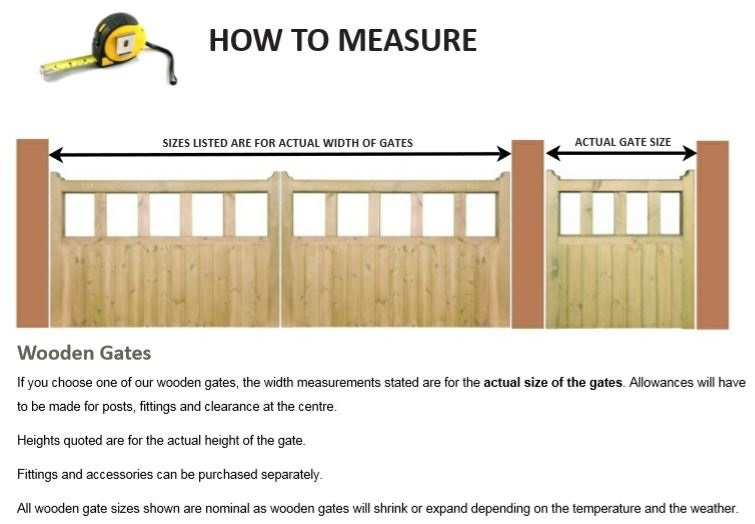 The sizes stated are the physical width of the gate. We have made no allowance for the extra space you will need for hinges, fittings or posts. Confused about ordering sizes? Learn how to measure the opening by visiting this page, have a look at our buying guide or contact us for further assistance. If you need to order posts, furniture or accessories that are compatible with the Essex garden gate design we recommend you choose from the options shown below. To discuss what the options suit a particular installation type please call us on 0844 804 5577 or email sales@gardengatesdirect.co.uk and a member of staff will be on hand to offer help and advice.